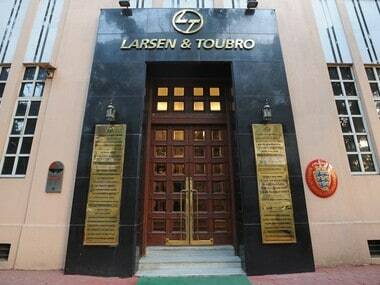 Construction firm Larsen & Toubro Ltd would spend up to Rs 7,000 crore ($1.02 billion) in a hostile bid to buy IT services company Mindtree Ltd, a media report said citing sources directly involved with the matter. L&T will buyout Mindtree’s largest shareholder VG Siddhartha and companies in which he is a promoter, following which an open offer will be sent to the public shareholders of Mindtree, according to The Times of India report published on Monday. The AM Naik-helmed L&T is buying Siddhartha’s nearly 21 percent stake for over Rs 3000 crore, at Rs 981 rupees a share, which will make it Mindtree’s largest shareholder. Following this, L&T will trigger an open offer for another 26 percent from public shareholders, the report said. Mindtree's co-founder and ex-CEO Subroto Bagchi on Sunday resigned from a government post "to save the company." “L&T will buy the 20.4 percent stake and will announce an open offer to buy up to 51 percent in Mindtree on Monday evening," an executive was quoted as saying by Mint. The four founders of Mindtree -- Subroto Bagchi, NS Parthasarathy, Krishnakumar Natarajan and Rostov Ravanan--together own 13 percent in the firm. Serial entrepreneur and veteran IT professional Ashok Soota, along with nine other industry professionals, had set up MindTree in August 1999. Mindtree posted 35.1 percent rise in consolidated net profit at Rs 191.20 crore for the December 2018 quarter as against the year-ago period. Soota said he would 'see if L&T can pull this acquisition', to CNBC-TV18. L&T was down 0.9 percent, while Mindtree rose 1.2 percent as of 12.30 pm.